From Prem Sikka, a quote from an article from June that provides essential context for those who would dismiss the explosive leaks and analysis from the International Consortium of Investigative Journalists (ICIJ) on Luxembourg. The Big Four accountancy firm PWC has been exposed as having facilitated and even encouraged highly abusive tax schemes, which are so extensive and outrageous that we can only refer you to the ICIJ investigation and associated stories, to grasp the seriousness of it all. There’s a crucial point here for journalists and other commentators to understand. No. As the above quote shows, in most cases there hasn’t been a legal challenge to the scheme, so the best you can say is that the legality of this scheme is indeterminate. 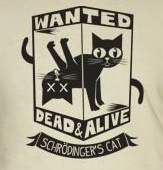 Their legality, Schrödinger-Cat-like, can’t be determined until they’ve been put to the test. The point is: it is generally factually incorrect, or at least bad journalism, to assert that these schemes are ‘legal.’ We understand that these sentences are often inserted for libel reasons, but we’d argue that an the best way of dealing with a libel threat isn’t to insert an inaccuracy. One other point: Luxembourg has said it has not broken any international tax rules in all this mess. Well, there are a couple of ways we’d respond to that. First, last time we checked there was no rule-setting World Tax Authority creating rules that Luxembourg might be breaking. There is the OECD, which sets guidelines, but that’s different. Second, more importantly, Luxembourg has made a business out of selling schemes to help multinational corporations get around international tax frameworks and national tax rules. To say it ‘hasn’t broken any international tax rules’ is a very distorted way of putting it. Finally, we’d note that Luxembourg doesn’t just sell tax dodges. It sells secrecy – and it is a thoroughly nasty piece of work, right at the heart of the European Union. Let’s hope these leaks cause real damage there.